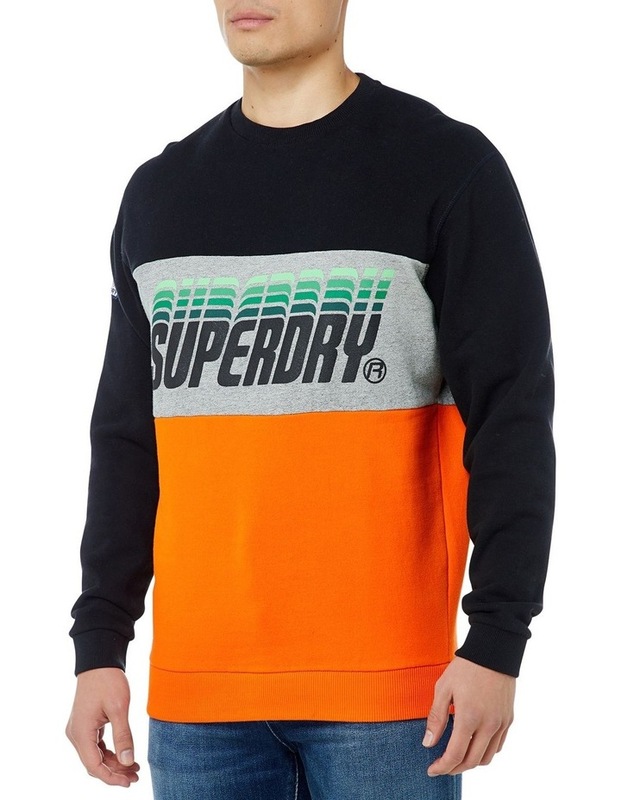 Superdry mens Triple Drop pop panel sweatshirt. 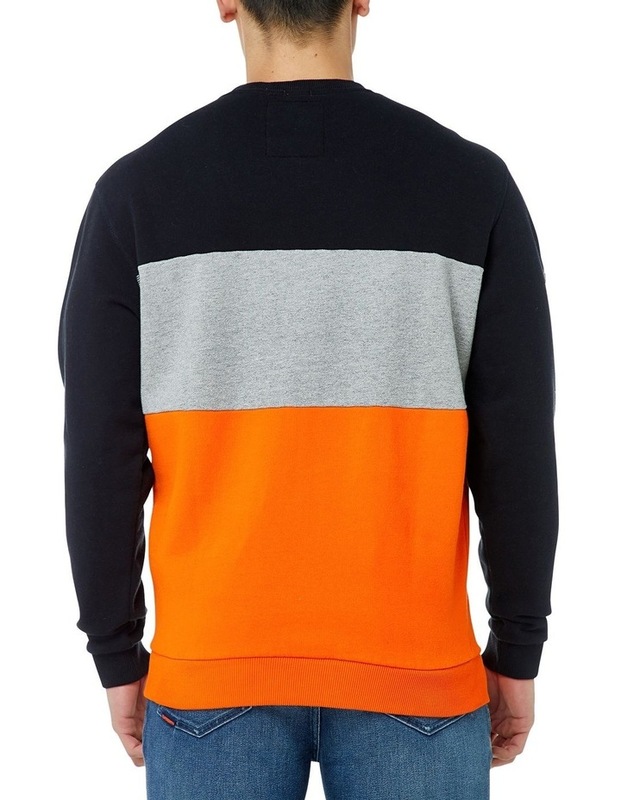 This sweatshirt features a crew neck, a Superdry logo across the chest and ribbed cuffs and hem. 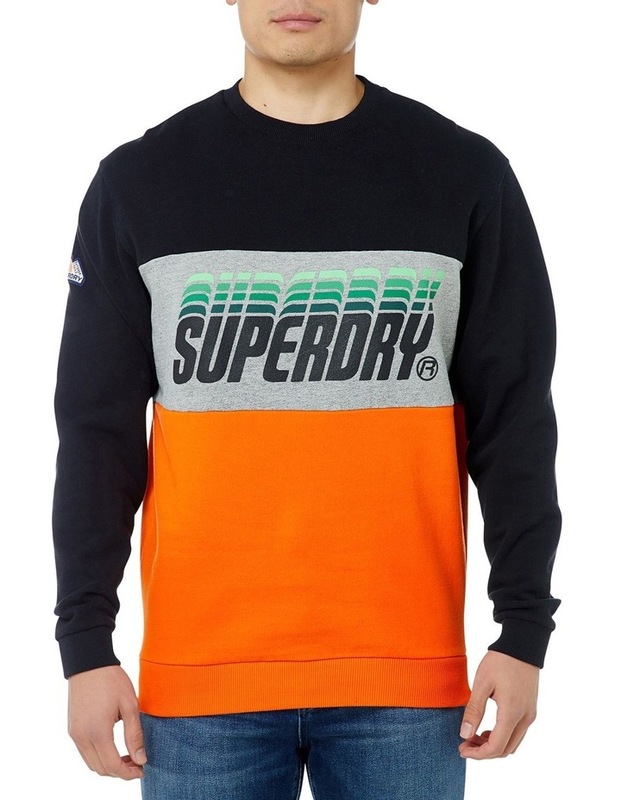 Finished off with a Superdry logo on the sleeve, this would look great paired with our skinny jeans.